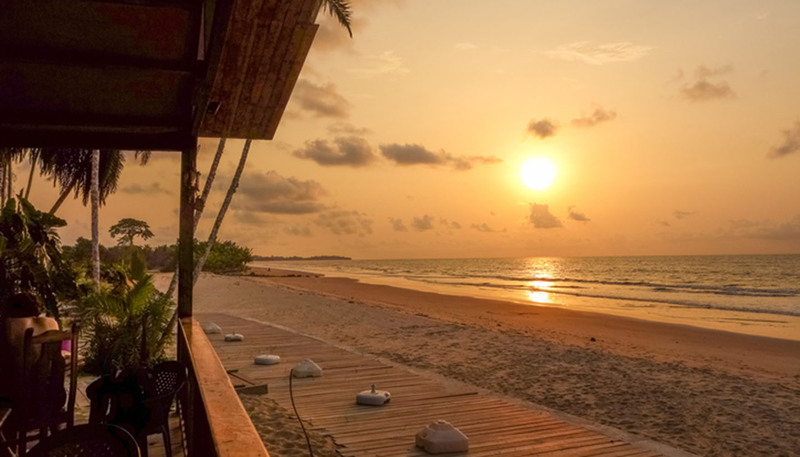 There are few restaurants in Equatorial Guinea and those that exist are mainly restricted to Malabo and Bata and do not necessarily open every day. Most restaurants serve Spanish or continental cuisine. Beer is usually expensive. • Chicken served in a peanut butter or cream sauce with rice or boiled plantain. • Meat or fish grilled with crushed pumpkin seeds served in leaves. • Cassava is a staple food, often served with fish or meat. • Sweet potatoes, yams and plantain are all popular ingredients. • Malamba (local sugar cane brew). • Beer and palm wine are produced locally. Unless service charges are added to bills, 10 to 15%.